War isn’t just about countries fighting each. It is about people and the choices that are forced on them and the choices they make themselves. This story follows three friends in Croatia that make life changing decisions putting two of them on one side of the war and one on the opposing side. Tony’s girlfriend and best friend Goran have chosen the communist partisans while Tony had been forced to join Hitler’s Luftwaffe. It isn’t the last that they see of each other but the relationships they had with each other has gone, bitterness, deceit, heart ache and hatred fester over the years. Whoa this is the nasty nitty-gritty side of what war turns people into. The terrible deplorable conditions of the prisoner of war camps. The horrendous lack of value of a fellow human being and the permanent irreconcilable damage between fellow country men. It doesn’t centre round the politics of war but more the choices that the ordinary man has to make in order just to survive. Some literally with the skin of their teeth while others take the opportunity to line their pockets from the less fortunate casualties of war. John Bell doesn’t just bring the war years to an end with a happy ever after, he takes it much further into the detention centres in the USA as it still follows Tony and his fears of returning to his homeland where people were forced to make choices that split families. This is a hard-hitting story but humour still comes through on some of the pages that sort of let you know that the real person is still in there. An absolute outstanding debut novel, steeped in the richness of research and family history of John Bell. A very realistic look at the ordinary man at the heart of war. 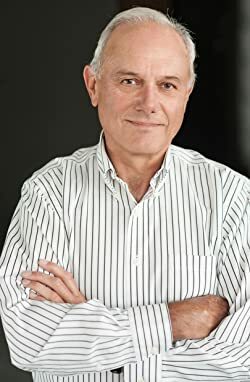 Before becoming an author of business books and historical fiction, John Bell was a CEO, global strategy consultant, and a director of several private, public, and not-for-profit organizations. A prolific blogger, John’s musings on strategy, leadership, and branding have appeared in various journals such as Fortune, Forbes and ceoafterlife.com. “Do Less Better. The Power of Strategic Sacrifice in a Complex World,” was released by Palgrave Macmillan USA in January, 2015. This book teaches leaders how to recognize the complexity within their businesses and reveals how they can simplify and streamline through specialization and sacrifice. For leaders, innovators, and entrepreneurs who need help embracing the practices that foster agility, foresight, and resilience, “Do Less Better” provides a tool-kit of road-tested strategies. 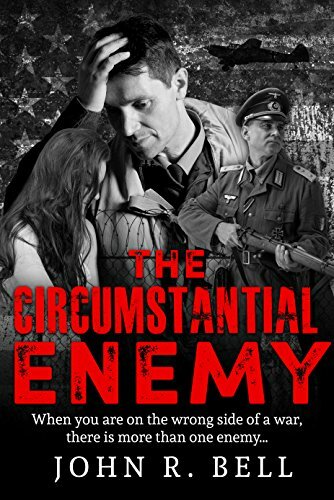 John’s novel, “The Circumstantial Enemy” chronicles the trials and capers of a young Croatian pilot caught on the wrong side of World War II. This historical adventure is an energetic journey to freedom through minefields of hatred, betrayal, lust, and revenge. Rich in incident and rollicking humor, it’s a story about the strength of the human spirit, and the power of friendship, love, and forgiveness. The “Circumstantial Enemy” will debut in late 2017. Wow, sounds really interesting! I studied Croatian and Croatian literature in grad school so I should check this out!